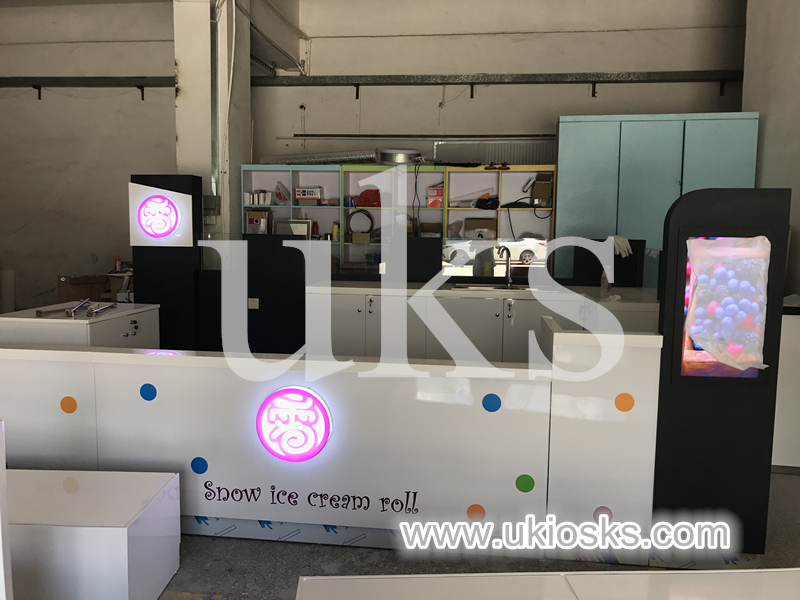 1.Basic information about this ice cream kiosk . 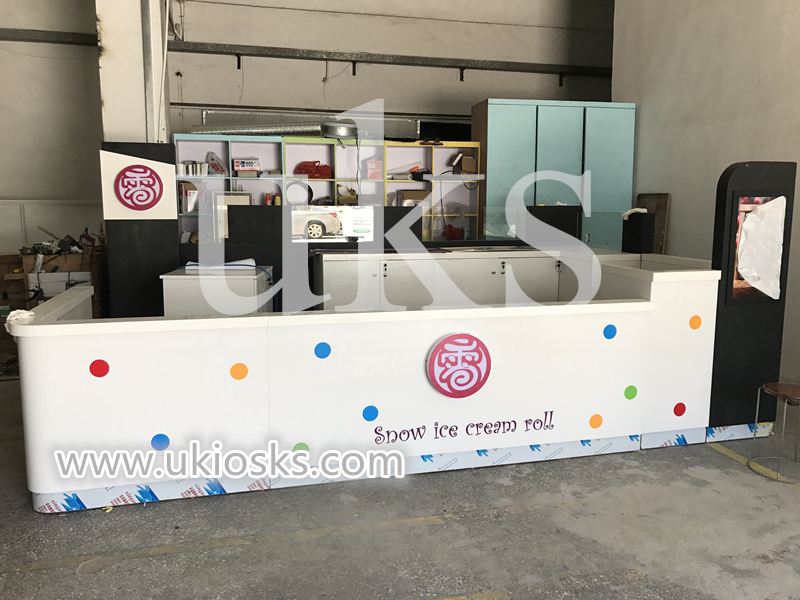 Project name : ice cream kiosk . Size : 13X8 ft .
Color : white , black etc . 1. Ask: I want to open a store. Can you design for me ? 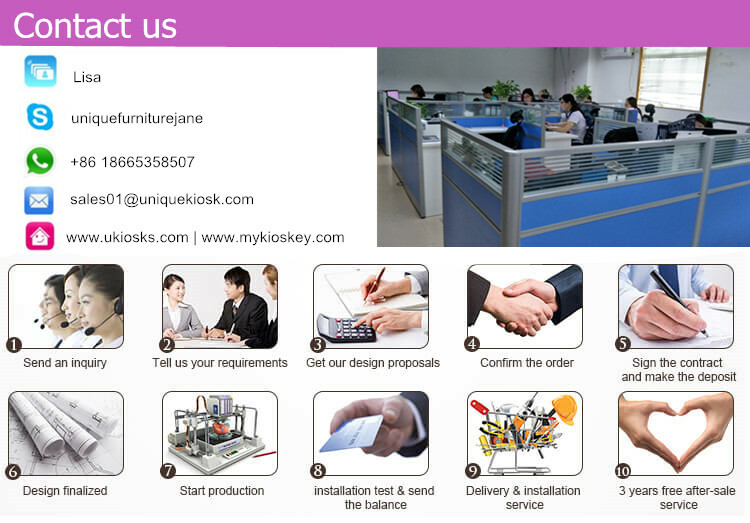 Answer: Yes, you find right one, design service is provided with professional team . 2. Ask: What is the difference between your “one-stop” service and others ? 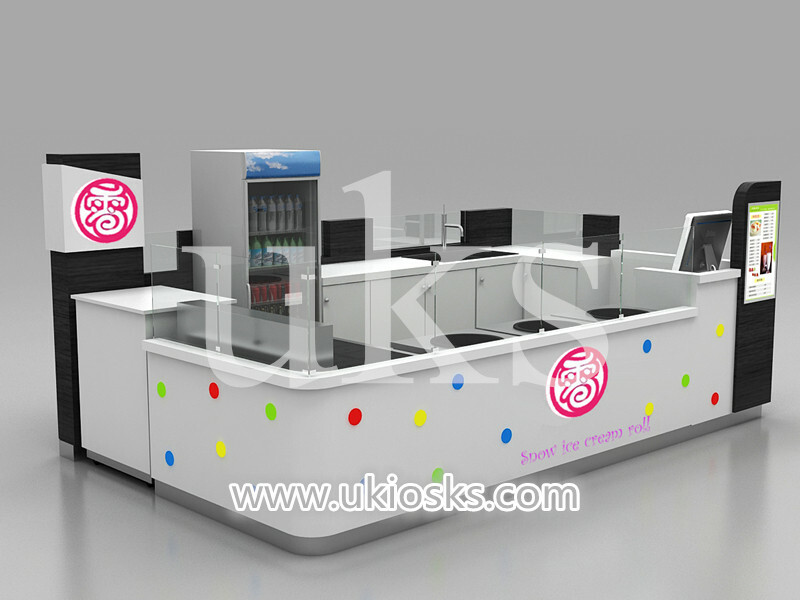 Answer: Ours include all other supplier’s service,also added our special matched display accessories . 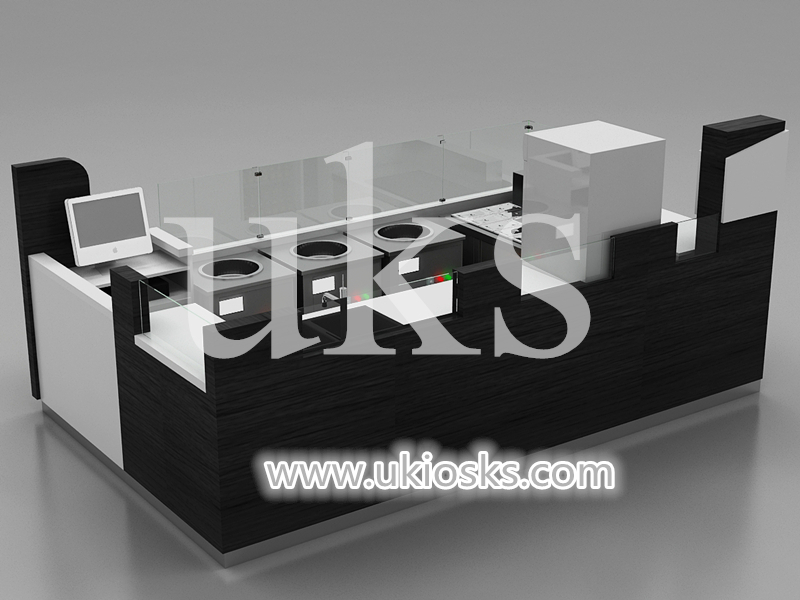 Saving your time & cost for sourcing suppliers,such as display accessories ,jewelry display tray,watch winder etc. 3. Ask: Why do you think I will choose you? There’re so many suppliers . Answer: For choosing supplier,it will be better if you consider below several points for saving your cost and time.1) Is it a factory and manufacturer? 2) Is it can provide real one stop service ? 3) Quality control system can meet international export standard or not . All above we can meet your need. So what are you waiting for? 4. Ask: I plan to open my store within 2 months. Can you do that? Answer: Short delivery time with ensured quality is our key to development successful,we will make a timetable based on your schedule. 5. Ask:During production, how do I monitor my order . Answer: Pls. don’t worry,we will keep you updated for all production details all the time,from design to shipping. 6. Ask: How do you pack up my goods? Answer: Our package meet international export standard, as below . EPE Cotton→Bubble Pack→Corner Protector→Wooden box.